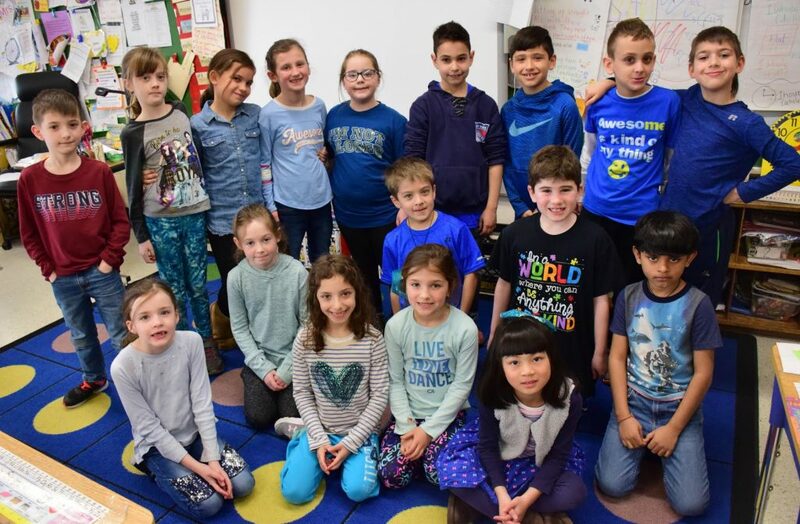 To mark Autism Awareness Day on April 2, students and staff at John G. Dinkelmeyer Elementary School in the North Bellmore School District were dressed in blue. Members of the Students Against Destructive Decisions club created posters promoting Light It Up Blue, which is observed nationally. Fifth-grade teacher Page Powers coordinated activities for Autism Awareness Day, including a collection drive for the Center for Development Disabilities in Woodbury, a school that serves children with autism. Dinkelmeyer students and staff were asked to donate tissues, notebooks and other supplies. Ms. Powers also created a digital presentation about autism that was shared with teachers to show their students. She said that children will likely meet someone with autism in their lives, so she wanted to remind them to be accepting of people for who they are and to always choose kindness. 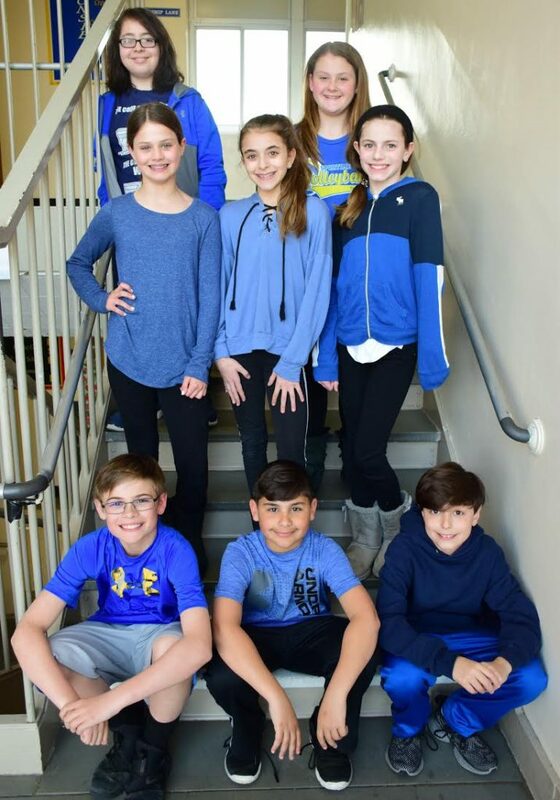 1: Members of the John G. Dinkelmeyer Elementary School SADD club wore blue to show their support for Autism Awareness Day on April 2. 2: First graders wore blue shirts, pants and accessories to raise awareness.